The lesson plans, staff meetings, parent conferences and school house polities that once deemed so important will fade away. The annual parade of fresh faces will and the noises of chattering children, stuff feet and slamming lockers will be heard no longer. It won’t matter how much you earned, the car you drove or the street you live on in the end. What will matter is your every act of dedication, passion and example that enriched, empowered and enlarged young minds. What will matter is not how many people you taught, but how many lives you touch. 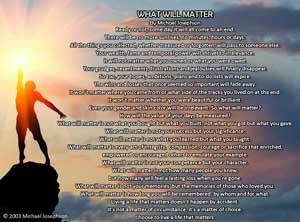 What will matter is the way you honored your parents, loved your children and supported your friends. 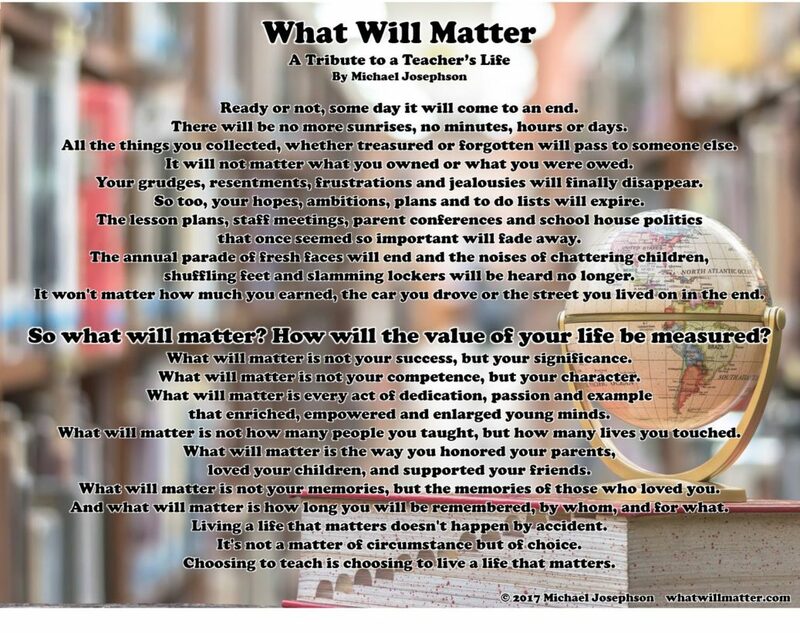 Choosing teach is choosing to live a life that matters.